Even allowing for the astonishing pyrotechnics of current American politics, the Canadian journalistic reaction has been rather disappointing. Canadians have a unique ring-side seat on American personalities and events and flatter themselves that they know that country better than any other foreigners do. Perhaps because of the garishness of American politics, the immense amounts of money involved in American elections and the lobbying process, and the practical absence of laws of civil defamation, Canadians are almost perpetually appalled but fascinated by the American political spectacle. 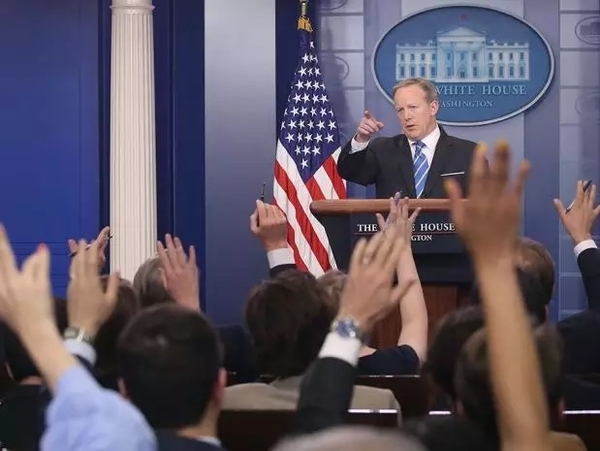 The intense controversies of the Trump presidency have generated a dreary branch-plant, copy-cat, me too replication of the Trumpophobia of the national U.S. media. The whole point of the Trump campaign was the need for radical but centrist reform. He was midway between the Sanders left and the Cruz right, but mobilized the angry and politically incorrect traditionalists, much of the working and middle class, and attacked the deferences to both Wall Street and organized labour, especially the teachers' unions, and the appeasement of the societally self-hating and faddish academics and Hollywood. At his heavily attended rallies, he singled out the national political media for its almost relentless disparagement of him and of his followers, and for the soft ride it had given to the Obama regime, which, despite the great breakthrough of having a non-white president, was unsuccessful in almost every field. Economic growth, which had been 4.5 per cent annually in most of the Reagan years, had gradually descended to just one per cent with Obama. Schools and infrastructure were decaying, violent crime was increasing, Obama and Hillary Clinton would not utter the words "Islamist extremism," political correctness reigned, and foreign policy seemed to many Americans to have wobbled from George W. Bush's insouciant war-making to Obama's appeasement of America's enemies. Trade agreements were widely perceived to have been disadvantageous and the alliance system looked like a bunch of free-loaders relying on American military power rather than collective security. Trump and his followers believed that the global warming case had not been made and that the push for renewable energy was unjustifiably costly and self-punitive. This long list of public policy grievances was widely and profoundly felt, and now defines the administration's reform program. Apart from 1963 to 1967 and 1977 to 1981, at least one member of the Bush, Clinton, and Obama families has been prominent in Washington since 1951, including seven terms as president or vice president. Those families have gone from Washington, and the national media are the chief enemy remaining there. They don't really report; they sandbag Trump. The battle between them has been intense. Despite Canadians' familiarity with the U.S., few seem to realize what a merciless jungle the United States largely is. The America of Norman Rockwell and Walt Disney exists, just as the Constitution is venerated and Americans stand, hand-over-heart singing their splendid anthems at great spectacles, in praise of the sweet land of liberty. Their patriotism is not misplaced: there has never been such a rapid national rise to such pre-eminence in the world as the United States has had. But among the principal ingredients of American success has been a fang and claw meritocracy, where almost everyone can carry firearms, there are the highest crime rates in the advanced world, seven times as many incarcerated people per capita as Canada, a porous social safety net, and about 40 million designated poor people. Beneath all the tired pieties about constitutional government, which has assured freedom of expression and elections and has avoided violent changes of government, it is a very rough and tumble place where politics at the highest level is a cynical and no-holds-barred battle of the fiercest, richest and most cunning. America is not complacent or degenerate, but it is not overly civilized either. Much depends on which side controls the prosecutorial apparatus. The country, as many, including me, predicted at the time of Watergate 50 years ago, crossed the Rubicon into very dangerous and unknown country with the criminalization of policy differences. Richard Nixon had one of the most successful terms in presidential history and was re-elected by the greatest plurality in history and was torn down and driven from office because of relatively trivial offences by some members of his entourage and despite the continuing absence of any probative evidence that Nixon himself committed any crimes. Bill Clinton, who had a moderately successful presidency, was subjected to the absurd harassment of an impeachment trial over tawdry peccadilloes and a brush with, but not commission of, perjury. In those cases, where there had been some illegalities or plausible appearances of them, the opposition controlled Congress and could get traction for impeachment. The media led the assault on Nixon, an ancient foe, and was somewhat restrained about Clinton, a kindred spirit. There is not the slightest hint of an illegal offence by Trump. The last six months of the former administration were spent tearing up the floorboards looking for evidence of collusion between the Trump campaign and the Russian government. None was found. The ousted FBI director, James Comey, confirmed to the bi-partisan leadership of the Senate intelligence committee that there was no evidence against Trump. Comey, it will be recalled, announced in July that Hillary Clinton had, effectively, broken a number of laws, but recommended against prosecution, which was grossly in excess of his authority. (He should have made his recommendation to the deputy attorney-general, Sally Yates, as the AG, Loretta Lynch, had compromised herself by meeting with President Clinton shortly before the election.) Comey should not have revealed the new batch of misdirected emails and declared them to be immaterial a few days later. In 48 years as the country's chief of the national police, J. Edgar Hoover never engaged in any public discussions of political investigations. Comey appears to have been deliberately prolonging suspense over the fatuous Trump-Russian collusion affair that no sane person could possibly believe in for a minute. But Nicholas Kristoff of The New York Times detects "the whiff of treason" (just the malodorous air of the Times' editorial room, I think), and his colleague Tom Friedman says there has been a breach of American sovereignty in the Russian collusion "on the scale of Pearl Harbor and 9/11." Ross Douthat of the Times is calling for removal of Trump for mental incompetence. The Canadian media, amiably unaware that the American national media are now the chief opposition in that country, cues obediently. I found myself on a CTV panel with my old friend Craig Brown last week and he unctuously said "We have to stop this guy" (Trump). Why and how, I asked; (coherent) answer came there none. Another old friend, Andrew Coyne raved and fulminated in these pages last week that Trump must be impeached. He doesn't seem to realize that removal from the U.S, presidency is not like a parliamentary vote of non-confidence. It has never happened and requires a vote of two thirds of the U.S. senators that there is proof beyond a reasonable doubt that the incumbent has committed "high crimes and misdemeanors." Incurring the displeasure of Andrew Coyne is not such an offence. No one regrets Comey's firing or disputes that it was for cause. His allegation in a self-addressed memo that Trump wished General Flynn well after removing him as National Security Advisor for misinforming the Vice-President doesn't cut it for credibility, gravity, materiality or even relevance. These issues are bunk and are only so notorious and have made such an impression on gape-mouthed Canadian observers because Trump controls the Congress and the U.S. national media, in a mighty display of desperate resistance to Trump's revolution, are trying to impeach and convict on their own. In this sense, and as I said to Craig Brown and the others (not in the totalitarian sense of impending executions) the media, by their malice and dishonesty, are, as Trump called them, "enemies of the people." They are trying illicitly to subvert the president's mandate. The brilliant appointment of Robert Mueller as special investigator, but not an old-time Watergate-Iran Contra, Whitewater lynch-mob-leading special prosecutor, slices the Democrats and the jackal media off at the knees. Trump lured his enemies to make and amplify hysterical charges. They will now be revealed by the mechanism whose installation they demanded, a special counsel, as unfounded and maliciously false. This whole cacophonous babel of spurious allegations will crash. The president is not a suave man, but is very tough and very smart, and his enemies are not. He will win and he will change America.